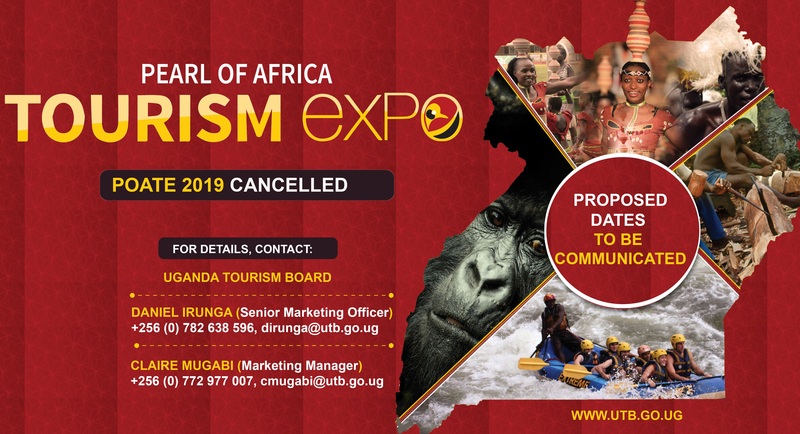 The Uganda Tourism Board regrets to inform all partners that due to organizational changes, POATE 2019 has been cancelled and a new date will be communicated at a further time. The board would like to thank all of its trade partners for the continued support and interest in consuming and promoting Uganda’s tourism. The Pearl of Africa Tourism Expo is an annual tourism expo organized by the Uganda Tourism Board. The expo brings together tourism and travel trade partners from Uganda, East Africa and the world over to foster tourism knowledge and business exchange.